Do you need to save money on funeral costs? Are you looking for a simple and inexpensive alternative to a traditional funeral service? Consider arranging a simple cremation service for $995. If you opt for a simple, no-fuss direct cremation and you hold your own memorial service, you can save thousands of dollars on funeral expenses! Making the decision to bury or cremate is a personal choice. For some families the decision is dictated by the budget they have for a funeral and a cremation service will cost less than a traditional burial funeral. 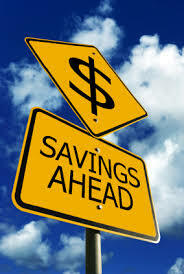 On average a cremation service is going to save you at least 40% on the cost of a burial, sometimes you can save as much as 60% on the cost of a burial service. More families are choosing cremation as it does offer a greater flexibility. The funeral service does not have to go ahead immediately. Instead a cremation can be performed to handle the immediate disposition of the body dealt. Then a memorial service held at a later date convenient to the family. How much does a funeral cost in Waukegan? This is not a simple question to answer as funeral costs can range significantly depending on the type of services and products selected, and the funeral services provider used. The average cost of a funeral in Waukegan is $6,915. 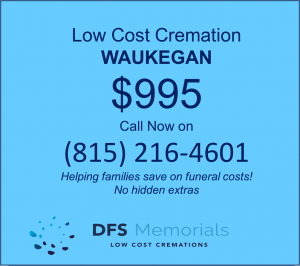 How much does a cremation cost in Waukegan? Firstly, a cremation WILL save you on funeral costs. There is no requirement for a casket, cemetery plot or burial vault, which alone saves thousands of dollars. Generally embalming is not required when a cremation is performed, so all-in-all you can save on many funeral expenses, meaning that a cremation will cost at least half, if not less, than the full cost of a burial funeral. It is important to state that cremation prices in Waukegan DO vary quite considerably between funeral homes, and depending what type of cremation service you opt for. Not all funeral homes have their own crematory but will use the services of a local crematory. The average cost of a cremation memorial is $3,970*, however, it is possible to find much lower-priced cremation services in Waukegan. How much is a direct cremation in Waukegan, IL? A basic cremation can be conducted in Waukegan for as little as $995 complete. This is what is known as a “direct cremation”. No services are performed, the deceased is collected, transported to the funeral facility, prepared for cremation and the cremation is conducted. The cremated remains are returned to the family in a temporary plastic urn. If desired the family can arrange a brief final goodbye viewing at the funeral home. The cost of a cremation can vary enormously – for the exact same service – but from different cremation service providers. Ensure that you compare like-for-like services. Some cremation service providers include crematory fees and cremation container costs in a direct cremation package, and others do not always include these fees. Death certificate fees and cremation permits are often additional ‘cash advance’ items. As mentioned above, there are laws in place regarding the cremation of human remains. A cremation cannot be performed until a cremation permit is issued by the medical examiner’s office. The legal next of kin must sign a Cremation Authorization Form. There is a mandatory wait period of 24 after death in Illinois before the cremation can proceed. We hope this short guide has helped answer some of your immediate questions, and provided some help to understanding how you can arrange an affordable funeral or cremation service in Waukegan, IL. If you need to research more information on funeral-planning, please visit the Library section on US Funerals Online. This entry was posted in Cheap Cremation, Cheap Funerals, Cremation Providers, Finding a crematory or cremation provider, How to Save Money on Funerals, Medical Examiner and tagged affordable funeral, basic cremation, cheapest cremation, cremation costs, cremation laws, cremation plan, direct cremation, help with cremation by Nicole Pelling. Bookmark the permalink.